Teach kids about "stranger danger" with these handy tips! Stories abound in today's media about young children in unsafe or scary predicaments. As a parent, I could easily let fear seep in and control what I let my kids do—or not do. Can they swim in the ocean without a lifejacket or play in a yard along a busy street? What about climbing trees or cooking over a campfire? While I work hard not to overly protect my two daughters, I strive to give them the skills and knowledge they need to recognize and protect themselves from harm, and to know where to turn when they need help. But talking to young children about safety doesn't happen easily. After all, their innocence and trust in the world are some of their best qualities, and their eagerness to wander and explore is hard to stifle. How, then, can we broach the topic and give our kids what they need to stay safe? We buckle our seat belts before we start the car. We look both ways before we cross the street. We stay seated while the bus is moving. 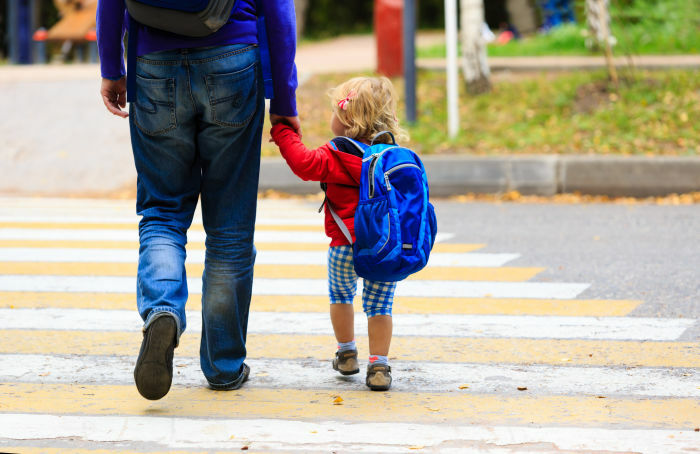 The more we model and talk about safety in our daily routine, the more we help our children know what to do to stay safe. Some kids will talk to anyone who comes along, while others will cling to a parent's leg for dear life. As parents, we can use what we know about our kids' temperament as we bring up and teach our kids about safety-related issues. For instance, if your child gets excited by a blazing fire, start by acknowledging how amazing the fire looks as it crackles and sizzles. Then, bring up the danger factor in clear, simple terms: Fire looks so pretty and bright, but we never touch fire because it leaves a big OUCH. Likewise, if your child is fearless in water, talk about how fun it is to play in the pool, lake or ocean, but how important it is to stay safe by always swimming with a grown-up. Trusted adults take many forms—the police officer on the street corner, the teacher at your child's school, a supportive neighbor, the parent of your child's friend, a store clerk or your local librarian. As parents, we can talk about these examples with our children and teach them to associate trusted adults with a particular place or uniform. For instance, librarians work in libraries, while a trusted clerk works in a certain store. Police wear dark uniforms, doctors often wear white coats and teachers work in schools. When you visit public places, make sure your kids know how to recognize and find a trusted adult. When you go to the mall, for example, point out the clerks in stores and any officers stationed throughout the shopping center. For many young children, “stranger” is a foreign concept. Take the time to talk through what “stranger” means. In simple terms, a stranger is “a person you don't know.” But under the umbrella of that definition, there are “safe strangers,” like police officers, firefighters and the parent of a friend, in addition to strangers who may not have the best interests of our children in mind. How can young children tell the difference? Encourage them to trust their instincts and recognize when a stranger makes them feel nervous or scared. As the National Crime Prevention Council advises, teach them how to recognize suspicious behavior, “such as when an adult asks them to disobey their parents or do something without permission, asks them to keep a secret, asks children for help, or makes them feel uncomfortable in any way.” In all of these scenarios, tell them to find a trusted adult right away. Teach Safety through Games and Books Kids love a good game and story, and countless options exist to use these integral parts of childhood to impart lessons on staying safe and out of harm's way. 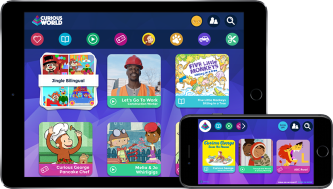 In Curious World, for instance, many of the online games and ebooks teach lessons about staying safe in the community—all in a fun and engaging way. By making safety fun and interactive, and by integrating it into our daily lives and conversations, we can give our kids the foundation they need to grow into confident, informed citizens. Share with us on Facebook how your family tackles important safety lessons.